From Mediaite: Once again, the internet has fallen for a false story about Ann Coulter. Mediaite reports, “After having successfully fooled the Washington Post, Boston.com, Breitbart.com, and the Drudge Report with its ‘satirical’ news stories, you’d think most people would realize by now that The Daily Currant is a fake news website that mocks conservative personalities with fake articles about them doing openly racist or buffoonish things in public. But just as many people (including active congressmen) still don’t know that The Onion is fake news, it seems as though much of the Internet is still stuck falling for the Currant’s parodies as well. ‘Ann Coulter Walks Out of Star Trek, Claims ‘Too Many Minorities’ reads the site’s headline from Thursday afternoon.” Find out how the internet reacted here. From Gossip Cop: More controversy and tabloid headlines for Rihanna: she’s now involved in a lawsuit. Writes Gossip Cop, “Rihanna is reportedly suing Topshop for $5 million because the British clothing company is selling T-shirts with her face on them — without her consent. But there’s a hitch. In the U.K., companies can buy the photos they use for images on clothing, for example, and don’t have to pay the featured celebrity a fee for licensing their image. They simply need to compensate the photographer for his or her picture. And while Rihanna knows that, reports the New York Post, she still filed a lawsuit in London, mostly because a source tells the paper Topshop allegedly told her, ‘Go to hell. We don’t care; we are going to continue selling you.’ …Gossip Cop has reached out to reps for Rihanna and Topshop, but has yet to hear back.” Read on here. 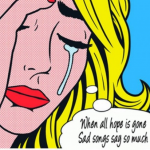 From Geekosystem: Sad songs do serve a purpose, it turns out. Geekosystem reports, “What do you do when you get dumped? If you’re anything like us, you drop the needle on some of your favorite sad music and feel some feels. A new study shows that listening to sad music really can help you deal with a breakup. Some people might try to tell you to listen to something more upbeat to cheer yourself up, but forget those people. You’ve got science on your side, mopey. The study was published is the Journal of Consumer Research and was co-authored by Dr. Stephen Palmer of the University of California-Berkeley who said, ‘Like a sympathetic friend, music, movies, paintings, or novels that are compatible with our current mood and feelings are more appreciated when we experience broken or failing relationships. '” Read the story here. From Styleite: David Beckham recently announced his retirement – does that mean he’ll have more time for fashion? Styleite investigates, “We know the spritely 38-year-old became famous for footie in the first place, but we wouldn’t mind if his just-announced retirement from the game opened more time in his schedule for hanging around sans shirt. Of course everyone’s calling dibs on David Beckham now that he’ll be stepping off the pitch, but a representative from his management agency, Simon Fuller’s XIX Entertainment, confirmed to WWD that he’d continue working with H&M and Adidas, and a source from H&M said: ‘David Beckham is a great sportsman and a great style icon, and to us that is how he will be looked upon also in the future. We are very happy with the collaboration and look forward to launching the new collection this autumn. '” Read on here. From SportsGrid: It hasn’t been such a great run recently for the New York Jets. SportsGrid reports on their latest troubles: “Did you know that the New York Jets have non-quarterbacks on their roster? Well, they do! One of them is newly-signed running back Mike Goodson, an explosive back on a team in need of explosion. He just got arrested. ‘New York Jets running back Mike Goodson was arrested on drug and weapon charges early on Friday morning, reports News 12 in New Jersey. 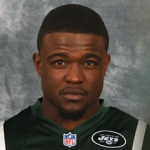 According to the report, Goodson and another man, identified as Garrett Evans, were found intoxicated in a parked SUV along Route 80 in Denville, New Jersey, which is about 15 miles northwest of the Jets’ headquarters in Florham Park. '” Read the story here. 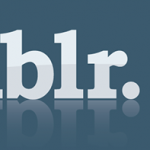 From The Mary Sue: Will Yahoo buy Tumblr for a cool million? The Mary Sue’s Rebecca Pahle writes, “Earlier this week at a tech conference Yahoo CFO Ken Goldman noted that one of the challenges his aging company faces is making itself ‘cool again.’ And what site are all the cool kids on nowadays? (Besides this one, I mean.) Yep. Yahoo! might buy Tumblr. It’s not a sure thing—the story goes that Yahoo CEO Marissa Mayer has been ‘closely watching’ Tumblr and discussing a possible acquisition with Tumblr execs, including founder and CEO David Karp. The dollar amount comes from Adweek, which notes that ‘the deal is not done, but could reach as high as $1 billion.’ With how big Tumblr’s gotten I’m frankly surprised it hasn’t gotten purchased already.” Read more here. From The Jane Dough: How did Banana Republic get its start? 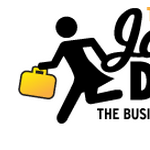 The Jane Dough reports, “It’s the quintessential American concept: Start a business from a simple idea, and then watch it explode into a multimillion-dollar corporation. Of course, most people who decide to become entrepreneurs have a plan. A little money, perhaps. And maybe some contacts. Mel and Patricia Ziegler, the couple behind the clothing empire Banana Republic, had none of these things. But, in 1978, they did have a vision. ‘We were both doused with romantic fantasies of Hemingway and adventure,’ says Patricia. ‘We wanted to figure out how to travel and see the world.’ The Zieglers knew it wouldn’t be possible to travel the globe with the paltry salaries that they made working for the San Francisco Chronicle, so they decided to start a business. They just had no idea what it would be.” Read the whole story here. From The Braiser: It’s the end of an era for food criticism in The Village Voice. 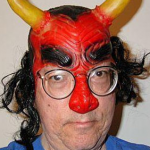 The Braiser writes, “One moment, Village Voice critic Robert Sietsema’s going about his daily life, writing stories about eating bugs. But soon after he tweeted that story, he learned that this piece about burgers would be his last: this morning, the accoladed, James Beard Award-winning writer fell victim to the latest round of layoffs, along with two other longtime Voice journalists. Although two editors quit last week after they refused to lay off a quarter of their newsroom, it seems that their sacrifice wasn’t enough to keep Sietsema, as well as theater critic Michael Feingold and society columnist Michael Musto, from being cut. Gawker reports that two executives from the Voice’s parent company flew in to handle the dismissals.’ Read on here.